Here is a friendly reminder about T-Mobile’s next media centered phone. 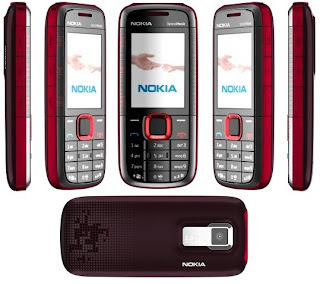 The Nokia 5130, which we told you about last month, is destined for shelves tomorrow and will replace the Nokia 5310 (that still seems backwards to me). It is a pretty simple, affordable, music playing phone with a 2 megapixel camera, external music controls, a 3.5 mm headphone jack (YAY!) and it will have a couple of color options. Full specs and a picture after the break. Don’t forget to leave your thoughts in the comments! Hooray for 2G phones! Wait, what. called tmo & they told me the expandable memory took up to 8 gb…. I currently have the 5310, and it’s been a good phone for me. I’ve always liked Nokia phones, though. I’m glad to see the Opera browser on this one (now if I could just convince them to support FLAC). Yeah, I thought that 2gb max was an error. But for the the sake of future owners of this phone, I hope they made the screen a little more crack resistant. It has the most fragile screen ever. Otherwise, it has done me well.